If you’re ever been on a Carnival cruise you know how amazing their signature Chocolate Melting Cake is! This Copycat Carnival Chocolate Melting Cake lets you enjoy your favorite dessert at home! If you follow along on Facebook you know that we just returned from a week-long Carnival cruise to the Western Carribbean. It was amazing-probably the best vacation we’ve taken since we have had children. (In no small part due to the Chocolate Melting Cake we discovered on the ship!) 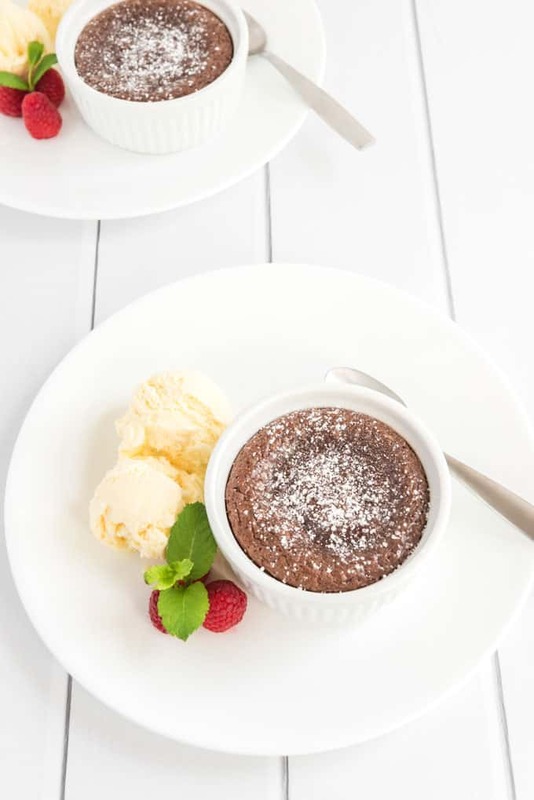 I’m sharing a copycat Chocolate Melting Cake recipe today, but first, let’s talk cruises! We had four stops-Cozumel, Belize, Roatan, and Grand Cayman. 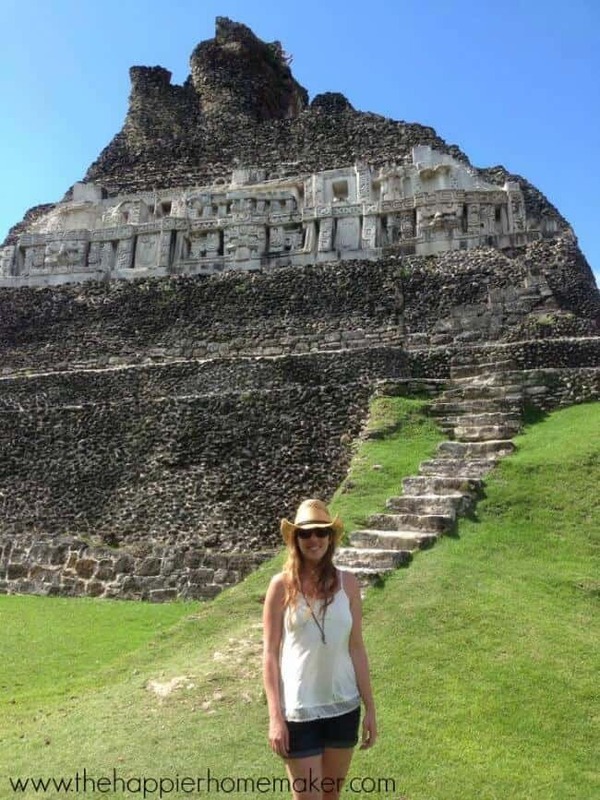 My favorite stop was Belize, where my husband and I took a trek inland to visit the Xunantunich Mayan Ruins…cross that one off the bucket list! On our second to last night of the cruise my husband chose the Chocolate Melting Cake for dessert and was instantly addicted! He was totally shocked when I told him it was offered every night and he had been missing out the entire cruise-he asked me if I could recreate it at home and subtly suggested it might make a good blog post. Carnival is very generous about sharing their recipe for the chocolate melting cake-you can find it here. But their version calls for 7 eggs which is a little much for me personally so I tweaked it a bit to reduce the eggs and it came out just as good-if you haven’t tried it, you need to put it on your “must make” list right away, just make sure you have some vanilla ice cream on hand to go along with it! 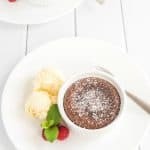 This slimmed down copycat Carnival Chocolate Melting Cake is every bit as good as the original! In a small pan, melt chocolate and butter together until smooth, stirring constantly. Set aside to cool. Whisk together eggs, vanilla, and sugar together in a small bowl. Fill 6 small ramekins about 3/4 of the way full with batter. Bake for 12-15 minutes or until middle is just set, you want the bottom half of the cake to be the consistency of pudding. Check with a toothpick if unsure! Do y’all want to hear more about the cruise or should I stick to the recipes and DIY? Let me know! Thank you for the chocolate melting cake recipe! I tried it! My husband and I love it! Easy recipe and also easy to reheat in the microwave. It’s only the two of us so I didn’t know if what we had left would reheat and taste the same. We reheated in the microwave on low and tasted like I had just baked them! Thanks again, look forward to trying more of your recipes! omg! i had this on a cruise before and had it almost every night! soooo close to the one i had! really good!